Plans to bring forward by five years tax cuts will benefit more than 10,000 small and medium businesses in Macarthur. Businesses with a turnover below $50 million will face a tax rate of just 25 per cent in 2021-22 rather than from 2026-27 as currently legislated. Similar timing changes will apply to the roll out of the 16 per cent tax discount for unincorporated businesses. President of the Greater Narellan Business Chamber and director of Pereira Realty Group, Shaun Pereira, said tax relief would help enable businesses to grow the local economy, which would help foster further job creation. “This is a great initiative for small to medium business which will assist businesses to reinvest their savings back into the local economy, encouraging employment,” Mr Pereira said. “This in turn will lead to the improvement of our economy. “The Camden region sees up to 80 new businesses created each month, further cementing its status as one of the fastest growing Local Government Areas in NSW and a location of choice for businesses. 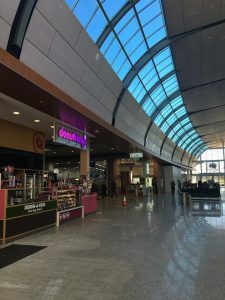 “The Greater Narellan Business Chamber welcomes the fast tracking of these tax concessions and we look forward to being able to assist businesses to see them reinvest funds into the local economy,” Mr Pereira said. Liberal Senator for Western Sydney Marise Payne said fast tracking tax relief was a key part of the federal government’s plan for a strong economy. “This is good news for the Macarthur community – lower company tax means more investment, more jobs and higher wages,” Senator Payne said. John Todd, the executive officer of the Western Sydney Business Centre, which provides advice and support for businesses in the Western Sydney region, also welcomed the fast tracking of tax relief. “A decrease in the tax rate is a positive step by the Morrison government which will help businesses in our region continue to grow and prosper,” Mr Todd said.